If you’ve ever had to shop for a used vehicle before, you already know that the process can be challenging. The cars you want may be priced too high, or the lots you visit don’t have what you really need. The search doesn’t have to be so stressful, and it all depends on where you look. 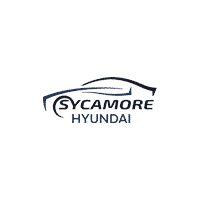 At Sycamore Hyundai, we carry a selection of certified pre-owned Hyundai models as well as vehicles from many other manufacturers. When you explore our lot, you may see models by Ford, Chevy, Buick, Nissan, and more. They all come at an unbeatable price, and when you see an SUV, sedan, or truck that you love, we’ll be happy to let you get behind the wheel for a test drive. From heavy-duty pickup trucks to sporty compacts, there’s something for everyone at our dealership. We’re confident that you’ll find a used vehicle that’s ideal for your situation, whether you’re commuting through Sycamore, escaping to the open roads of Illinois, or hauling serious cargo. If you’re curious about what we have in stock today, you can always take a look at our selection online. You can also use our convenient search filters to refine your browsing experience. These filters can help you narrow the field with specifiers like body type, manufacturer, paint job, model year, and more. Our pre-owned lineup is always rotating different vehicles in and out, so if you don’t see anything you want right now, don’t forget to check again soon to see what may have just arrived. If you’re in the market for a pre-owned vehicle, we welcome you to come by our dealership to explore our lineup in-person. At Sycamore Hyundai, our knowledgeable team of automotive professionals will be ready to listen to your checklist and help you find exactly what you need. We’ll do everything we can to help you drive home in a reliable used vehicle at an affordable price. While you’re here, ask us about our current pre-owned specials.